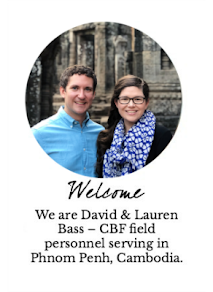 David and Lauren Bass: LET US INTRODUCE: ...OURSELVES! Wes Browning and the CBF put together this introduction video for us to be played at our commissioning last week. The video gives a brief introduction to us and the work we will be doing in Cambodia. Take a look!